Mahama Camp is situated in Mahama Sector, Kirehe District, in Eastern Province, at about 270km from Kigali city. It was established to accommodate thousands of Burundian refugees who massively fled to Rwanda when political crisis related to presidential elections erupted into violence in Burundi. Thousands of Burundian refugees who fled in a big influx were temporarily accommodated in transit centers in different part of the country depending on their entry points. Mahama camp was officially opened on April 22, 2015 in order to move refugees near the borders of Burundi and provide them with enough space for accommodation. It covers the surface area of over 50 ha. 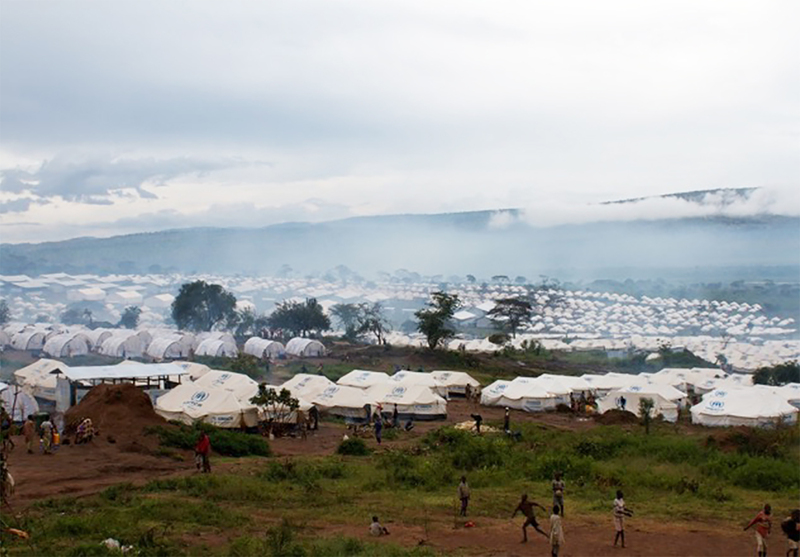 Mahama camp is the youngest among other refugee camps and is the biggest camp in Rwanda with a population of over 50,233 by (9/09/2016) which grows up day after day as Burundian continue to flee to Rwanda. While Burundian refugees continue to arrive daily, fleeing violence and insecurity, the large majority have been living in Mahama for over one year, many since the camp opened in April 2015. In fact the camp is so big—it has as many inhabitants as Muhanga, the sixth town in Rwanda—that it has become a de facto city, with two health centers, a school, a bus line and market full of small businesses. With 50,000 refugees in less than a year and a half, Mahama Camp is still in transition. At the onset of the emergency, UNHCR established tents and communal hangars for all refugees, which were neatly arranged in small communities, and all services were provided in temporary structures made of plastic sheeting and poles. The same was the case for schools, toilet structures, health posts, community centers and even the offices used by humanitarian workers. Through a strategic plan and generous contributions from donors and partners, Mahama is being transformed into a modern camp with semi-permanent structures and innovative response plans. The vision is to see these refugee families become self-reliant and full of hope, for their future. Mahama early morning: the sound of megaphones. These are community mobilizers, urging students not to be late for school. Like an alarm clock, it triggers an immediate reaction with hundreds of children streaming out of their shelters, making their way to the classes within and outside the camp. Early Childhood Development (ECD) and level 1 and 2 of primary education classes are held within the camp, whereas level 3 through secondary students form an army of blue (due to the colour of school uniforms) as they trickle down the main camp roads to the local school just outside the camp, “Paysannat.” Since UNHCR and ADRA constructed 112 classrooms in this school, today it hosts 11,396 students, both nationals and Burundians. This has made it the largest school in the country. By 8am, the camp is alive with refugees at the water points, children dashing to the child friendly centres, women cooking in the communal kitchens and men dashing to the various construction sites within and outside the camp, closely followed, as if on cue, by a stream of cars ferrying humanitarian workers entering Mahama. With the smoke rising to the skies from the homes and communal kitchens within the camp, the village of more than fifty thousand refugees, that day, live then with numerous activities, song and dance for the next eight hours or so. Mahama refugee camp has an array of unique attributes and the humanitarian team takes on the daily challenges at the camps with a lot of optimism. Each Thursday, UNHCR and Ministry of disaster Management and Refugees ( MIDIMAR) lead the 14 project partners and UN Agencies in a lively meeting, where challenges, success stories and new opportunities are shared. It’s here as well where innovations are developed and discussed and strategies formed. Mahama offers a chance for all voices to be heard. In addition to weekly sector meetings, a town hall meeting with refugee leaders, a monthly meeting with children, meetings at village level are held. In addition, refugees get a chance to interact freely with the numerous visitors who frequent the camp. The camp is divided into 25 villages with a minimum of seven leaders in each. 251 leaders and over 300 community mobilizers set the stage for a well-organized village leadership structure where voices of the now more than 50,000 refugees can be heard. The protection environment continues to be uncertain and volatile. Refugees are fleeing Burundi for numerous reasons, including the deteriorating human rights and humanitarian situation and resulting decline in economic opportunities. Refugees are currently being granted refugee status on a prima facie basis in the DRC, Rwanda, Tanzania and Uganda, and this is not expected to change in 2017. Countries of asylum have continued to accept new arrivals and borders remain open. Border and protection monitoring has been strengthened in 2016 and will continue to ensure non-refoulement, while also giving valuable information on the reasons of flight. Provision of refugee documentation, including birth and marriage certificates, are vital for protection purposes. Biometric registration of refugees will ensure that data is collected and stored in an integral manner, which will also facilitate the planning and organization of protection, assistance and eventual durable solutions. National and local authorities and security forces received training on international protection principles, refugee law and on the importance of safeguarding the humanitarian and civilian character of camps to protect refugees from the infiltration of armed groups. There have been a high number sexual and gender-based violence (SGBV) incidents reported by refugees and thus it is important to build on the structures put in place in refugee settings to address these incidents. As camps are often crowded, additional camp sites are needed to expand accommodation capacity and to decongest existing camps. It is expected that the level of protection will also increase when the emergency shelters are gradually upgraded to semi-durable structures, providing more safety and privacy. Continuous collaboration with local justice systems and further strengthening of referral pathways will ensure that victims of SGBV can report incidents, that assistance can be provided and legal action can be taken. Besides continuing family reunification activities, child protection will also focus attention on refugee youth. Child-friendly spaces will allow children to come together in a protected environment where they are able to continue their physical and psychological development, connect with their peers and process potential trauma. Life skills training, vocational training and peer education will continue, to prepare older children for the future. People with specific needs, including the elderly and handicapped, are receiving additional support, ranging from sign language training and the provision of mobility aids to those who are less mobile. As the number of Burundian refugees at mahama is increasing, it is vital that improvements made to refugee service delivery also benefit host communities. Building on the commitment made during the 2016 Leader’s Summit on Refugees, held in New York in September, it is planned that refugees will be increasingly integrated into national support systems, allowing them to contribute to the society they live in and increasing their level of self-reliance. 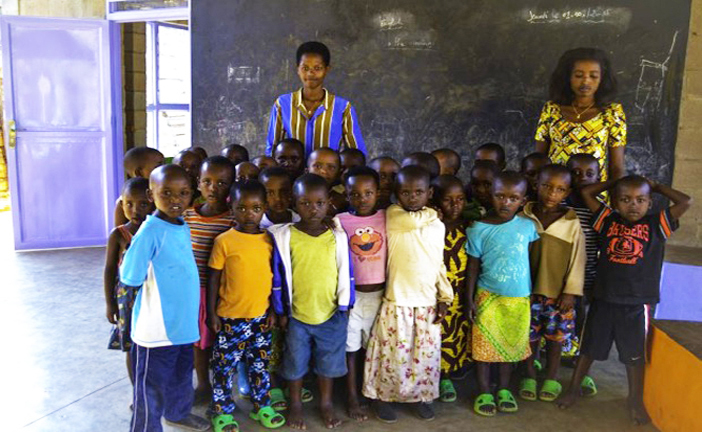 AT LEAST above 7,800 Burundian children in Mahama Refugee Camp in Kirehe District have started school since January 2016 and orientation programmers have been conducted, which helped them to cope up with the Rwandan education system, according to aid workers. 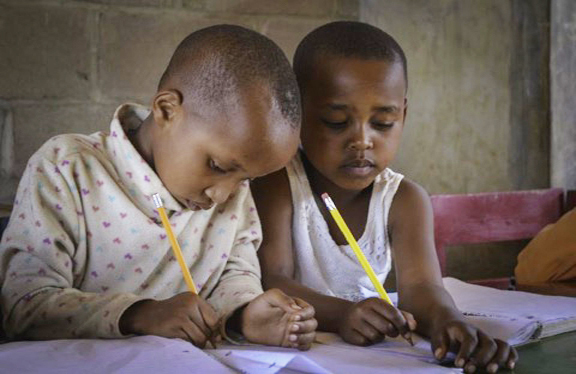 Rwanda currently hosts over 50,233 Burundian refugees, the majority of them children who left schools due to political instability linked to presidential and parliamentary elections in the country, providing education to school-aged children is a priority in all refugee sites. Refugee students in class at Paysannat School and others from school. UNHCR and partners continued to support reproductive healthcare in Mahama refugee camp; 136 women gave birth to babies during the month of April and 99% of them were attended by the professional health care staff. A high number of mental health cases are being reported in Mahama camp. A total of 125 semi-permanent shelters, out of the 470 scheduled to be constructed with current funding levels, have been completed in April. There are currently 1,717 semi-permanent shelters in Mahama, but an additional 4,283 are needed. One of the most sensitive phases in human development occurs from the prenatal period through age 8 years. This time is characterized by rapid brain development and the acquisition of foundational skills and competencies. The architecture of the developing brain forms progressively, such that the quality of early experiences establish either a sturdy or a fragile foundation for the brain’s further development. In both regular and emergency settings, quality early childhood foundations can help ensure a smooth transition to primary school, a better chance of completing basic education, and a route out of poverty and disadvantage. As Early Childhood Development (ECD) features for the first time in history in the global agenda for sustainable development (SDG), UNICEF at the global, regional and country levels is actively engaged to promote awareness on the importance of the early years. The new science of Early Childhood Development brings to attention the importance of a nurturing environment for young children to develop their full potential. Supportive, nurturing and stimulating environments are crucial in children’s development. Family, community, and early play and learning centres constitute the child’s immediate environment, which facilitates the child transition from the safeguards and confines of home into greater society. Scientific research has established that early bonding between the caregiver and young child is associated with optimal development of other neurophysiological systems in the body and brain. The relationship between caregivers and young children is bi-directional, such that stimulating and nurturing relationships not only have a positive impact on young children, but also influence caregivers’ well-being. The evaluation will examine changes in relation to the Theory of Change comparing changes before and after the intervention. Those changes will be evaluated for the targeted population (users of the ECD Kit and children, and, potentially other members of the community engaged through or touched by the intervention), in particular, adults interaction with children. The evaluation will also evaluate the impact of the intervention on children’s early learning and development, and their psychosocial well-being.